What is a NATURAL or GREEN funeral? However, it is possible to request a green or natural funeral from any funeral home. 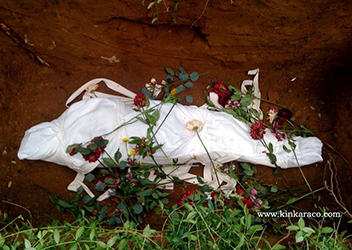 Some ways that the environmental footprint of a funeral can be reduced would be one where, if a viewing is desired, the body is contained in a biodegradable container (a shroud or environmentally constructed rigid container) and is not embalmed; instead of floral tributes, donations are made to charities OR live plants are used to decorate or honour the deceased; memorial, prayer cards or orders of service are printed on recycled paper, using vegetable dyes and inks; vehicles used in procession are hybrids or have high fuel economy; the funeral establishment uses Bullfrog Power or has other practices in place to reduce power and/or water consumption. 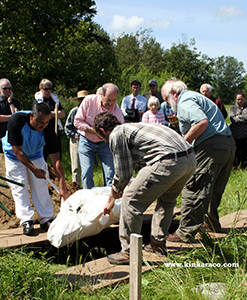 Another way to reduce the environmental footprint of a funeral is to consider a home funeral. The founder and director of eco Cremation & Burial, Nathan Romagnoli, is a keynote speaker at the Natural Death Expo, and eco will also be an exhibitor. Visit him at the Expo or check out his website for more information.